When is the best time to buy a new air conditioner? This is a question we often hear from homeowners in the Dayton, Columbus and Cincinnati areas. In Ohio, the weather can be very harsh on both our heating and cooling systems, which is why we always recommend preparing for system replacement BEFORE you experience an untimely breakdown on the hottest or coldest day of the year. Spring is the best time to replace your air conditioner. If you are unsure whether or not it should be an item on your project list this season, consider our tips below. Central air conditioning systems typically last 15 years, but heavy users may want to upgrade sooner. Even if your A/C is only 10 years old, switching to more energy-efficient cooling equipment can cut the cost of operation by 20% to 40%. In addition to the age of the system, you may consider A/C replacement if you find yourself making multiple service calls. Frequent repairs are a problem! Even though your cooling system can be repaired, it does not necessarily mean that you should continue fixing it. There is a point when it makes more sense economically to invest in a new system. The increased energy efficiency can help to offset the cost of the investment of a new system over time. Finally, another red flag would be if you have humidity issues or hot and cold spots in your home. Problems with airflow are caused by poor operation, inadequate equipment, and ductwork issues. 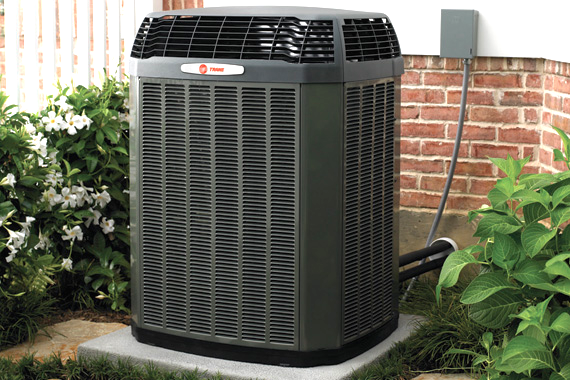 A new air conditioner can lead to better all-around home comfort. Ready for a FREE A/C QUOTE? Request your in-home estimate now!